It vapes great with a variety of hardware and output levels, too. Not only that, it's an extremely high performing liquid. Mouth and lung hits are top class, the inhale and exhale are spot on, and the throat hit is simply out of this world! 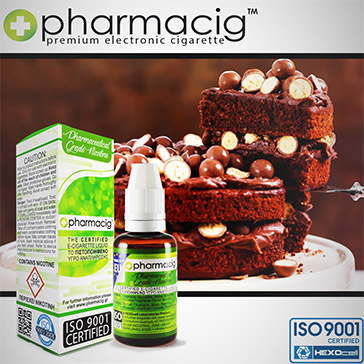 Vaping with the lower nicotine version, it literally caresses your throat. When vaping with higher nicotine versions, it delivers a surprisingly strong throat kick. Bottomline? You can indulge yourself over and over again without ever having to worry about calories!